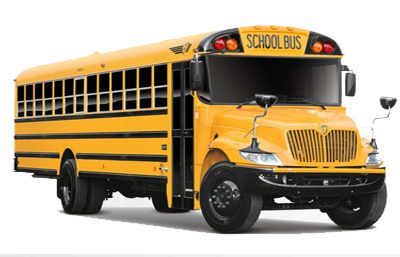 One of the best charter bus providers in Sioux city. Our rates are comparitively cheap. Call us today to get the best rate for Deluxe Motor Coach, Mini Bus, School Bus, Party Bus, Limousines, Van and more... for any of your charter bus events. Sioux City is a city located in northwest Iowa in the United States. The attractions, the very many shops and restaurants and local attractions of this place will surely attract you to this city. The big city entertainment with the hometown hospitality is the specialty of Sioux City. The Sioux City has the unique and beautiful attractions that no other city has. You can plan and organize your Corporate or Group Travel, Sightseeing Tour or Professional Sports, Religious Convention or Bachelor/ette Party, Weddings or Conventions and Trade Shows, School Field Trip and Political Campaigns. Tyson Event Center in Sioux City, organizes concerts, hockey, football, rodeo etc and the Convention center hostess conventions, to small meetings, banquets and wedding receptions. The Orpheum Theater offers live Theater, concerts, movies and outstanding national and local performances. The Argosy Casino is a luxurious, large capacity riverboat to enjoy pure gaming entertainment and the Ice Cream Capitol of the World Visitor Center - Blue Bunny Museum provides fun, interactive exhibits to educate guests about the history of ice cream and Wells Dairy, makers of Blue Bunny brand. The 4th St. Promenade Cinema & Retail features 14 screens, stadium seating and state of the art projection and sound and the IBP Ice Center stadium is open year-round for youth hockey programs, public ice skating, tournaments, figure skating and off-season inline skating and indoor soccer. The Anderson Dance Pavilion of Sioux City has a covered dance floor and raised bank area. The site is the venue for many summer events including Art splash and the Big Mardi Gras Parade. The River-Cade Festival is one of the biggest festivals and this spirited celebration offers a full slate of family fun and entertainment; huge parade, special events, and top-caliber performances. The Stone State Park, named for the Thomas Jefferson Stone family, is located on the western border of Iowa in the Plymouth and Woodbury counties. The rugged topography and panoramic views attract 200,000 people annually. The park is open year-round. The park roads are closed during the winter season. Trinity Heights offers the stainless steel statue of Jesus and Mother Mary, and the St. Joseph Center Museum features a life-size wood carving of the Last Supper. Also visit the other places of attractions like, Dorothy Pecaut Nature Center, Explorers Baseball, Fourth Street, Historic District, Lamb Productions Theatre and the Loess Hills Scenic Byways which links many scenic areas, public parks and culturally and historically important sites in Iowa. Also the places like Lewis & Clark Recreation Area, Sergeant Floyd Monument, Scenic Park & Aquaplex and Floyd River Museum & Welcome Center. The Sioux City Bandits Indoor Football and Sioux City Musketeers Hockey offer you great time to energize your body muscles. 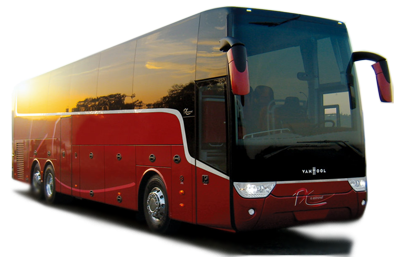 Take the service of charter Buses, sedans, limos, SUVs, vans, mini buses, motor coaches, limo buses and party buses, to reach your desired destination easily. Make the trip more enjoyable and memorable with us by booking for your Airport Transportation and Emergency Evacuation.